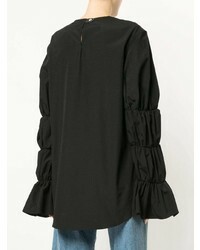 If you're on a mission for a casual yet stylish ensemble, consider wearing a Monographie puff sleeve top from farfetch.com and black leather leggings. Both items are totally comfy and will look fabulous paired together. Got bored with this ensemble? Enter black leather knee high boots to switch things up. 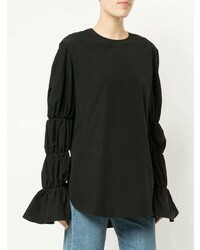 If you're searching for a casual yet totally chic outfit, reach for a Monographie puff sleeve top from farfetch.com and olive skinny jeans. Both pieces are totally comfy and will look fabulous paired together. When it comes to footwear, this ensemble is complemented nicely with red and black suede pumps. 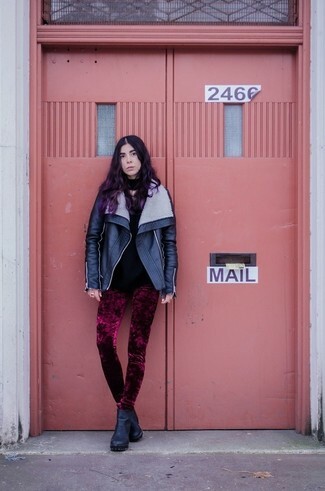 For a neat-meets-totally stylish outfit, reach for a Monographie puff sleeve top and burgundy velvet skinny pants — these two pieces play nicely together. When it comes to footwear, this look is round off wonderfully with black leather ankle boots. For a casually elegant outfit, wear a Monographie puff sleeve top with white and black vertical striped dress pants — these pieces fit perfectly together. Choose a pair of white leather low top sneakers to make the outfit current. 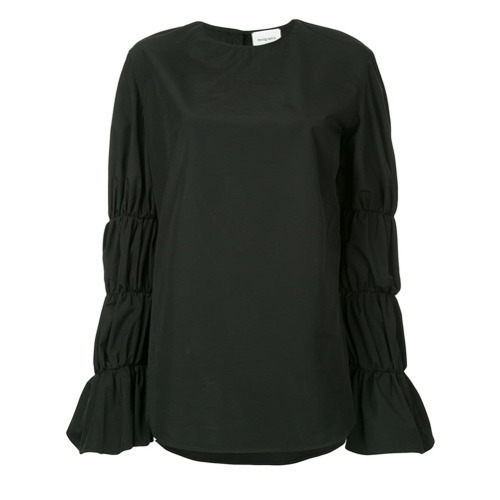 For a killer-meets-stylish outfit, marry a black long sleeve blouse with black skinny pants — these pieces fit nicely together. When it comes to footwear, this getup is finished off really well with black suede pumps. If you're on a mission for a casual yet chic outfit, pair a Monographie puff sleeve top with a brown leopard mini skirt. Both pieces are totally comfy and will look fabulous together. Lift up your look with black leather ankle boots. If you're searching for a casual yet stylish ensemble, consider wearing a Monographie puff sleeve top and a grey skater skirt. Both items are totally comfy and will look fabulous paired together. Up the cool of your ensemble by rounding it off with brown leather ankle boots. 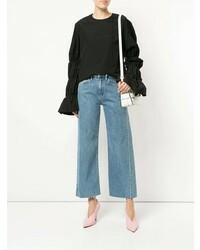 If you're after a casual yet totally chic getup, wear a Monographie puff sleeve top from farfetch.com and light blue boyfriend jeans. Both items are totally comfy and will look fabulous paired together. To bring out a sassier side of you, complete your outfit with black leather lace-up flat boots. 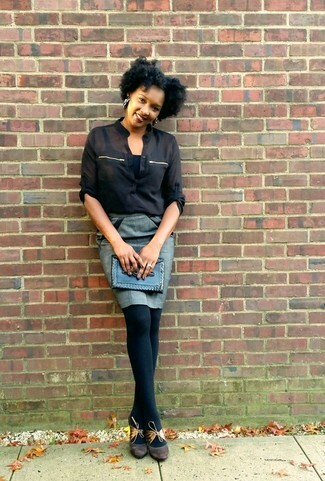 For a smart casual look, consider pairing a Monographie puff sleeve top with a grey pencil skirt — these two items go nicely together. When it comes to shoes, this outfit is complemented wonderfully with dark brown suede pumps.